During a business meeting, all it took was one look at your coworker’s butterfly mug, and you’re remembering your mother giving you the nickname “Butterfly." You choke back tears, hoping no one notices. Yes, we have a podcast! 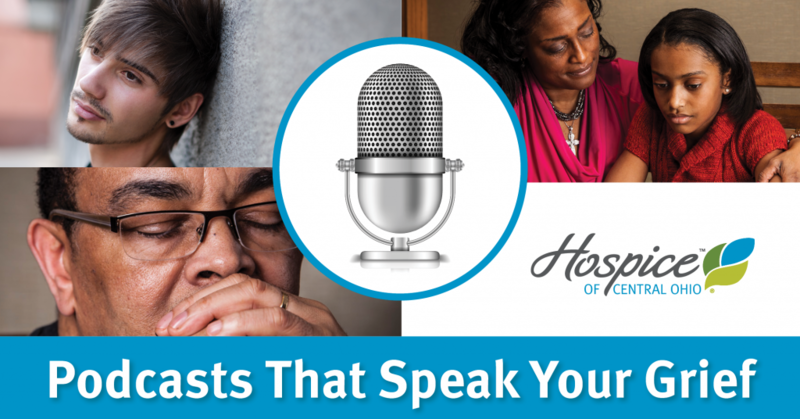 Our Listen and Learn podcast is volunteer-driven covering topics about end of life, spiritual care, grief, and more. One of our topics is supporting someone who is grieving. Find our podcast here.. The Dougy Center’s Grief Out Loud podcast talks about grief stories and support surrounding children and families. Find out more here.